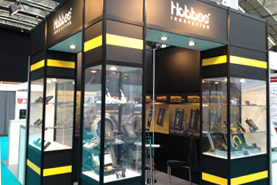 Hobbes Europe GmbH would like to announce that we will be exhibiting at the 2012 ECOC in Amsterdam from September 17th to 19th. In this year’s ECOC, we will announce the new products FIBERID, Optical Talk Set and fiber cleaning tool. Welcome to visit us at booth 707 and we are looking forward to see you.